Every home in Rajasthan has its own Deities. Every village has its temples. From the vermilion daubed stones revered under the thickening trunks of ancient trees to carved temples that celebrate the spirit of ancient faith. Every faith has its Gods – whether Hindu, Islamic or Jain, in the nature of gurus or as the cosmos itself. Every one of them has a place in Rajasthan, not only tolerant of each others religions but also participating in many events or letting faiths intermingle to create a new vocabulary for those who believe in gods and their power. Day 01: Arrival at Jaipur:Arrival at Jaipur at airport/railway/Bus station and transfer to hotel. Rest of the day at leisure. Evening visit to Nahargarh Fort to see city lights Illumination. Can have dinner at Dug Cafeteria (optional). Night stay at RTDC Hotel Teej Jaipur. Day 2: Jaipur: Morning sight seeing of Amber fort, have elephant ride from the foot hill to the top of the hill (optional). On the way visit Hawa Mahal, Jal Mahal. After Lunch visit to City Palace Museum and Observatory. Evening free for Shopping. Night stay at RTDC Hotel Teej Jaipur. Day 3: Jaipur – Via- Ladnu Jain Temple – Bikaner: After Breakfast drive to (Via-Ladnu Jain temple) Bikaner, arrive there by evening. And Night stay at RTDC Hotel Dholamaru, Bikaner. Day 4: Bikaner: Morning visit to Junagarh Fort. 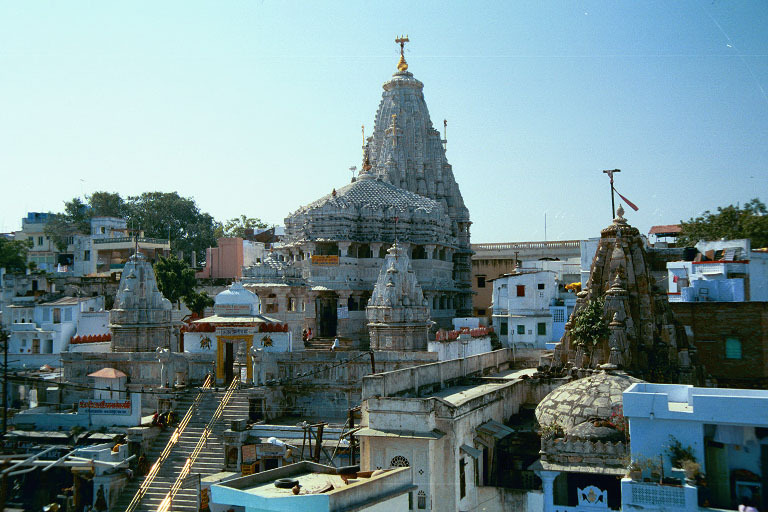 Afternoon excursion to Deshnokh to Karni Mata temple extraordinary and also known as the temple of Rats, visit Bhandasar Jain Temple and Laxminarain temple. night stay at RTDC Hotel Dhola Maru. Day 5: – Bikaner – Jaisalmer: After breakfast drive to Jaisalmer, en-route visiting Kolayat with its temples, and have tea break at RTDC.Motel Pokaran,after tea break en-route visit Ramdevji shrine at Ramdeora. Arrive Jaisalmer and night stay at RTDC Hotel Moomal, Jaisalmer. Day 6: – Jaisalmer: In morning sightseeing of Fort, Jain Temples, Havelis and Gadhisar lake. In afternoon visit to Lodurva Jain temples and drive to Sam sand dunes to have camel ride at sun set point. night stay at RTDC Hotel Moomal Jaisalmer. Day 7: – Jaisalmer – Jodhpur: After breakfast drive to Jodhpur en-route visiting the temples of Osian. Arrive at Jodhpur in after noon. Rest of the day free. Overnight stay at RTDC Hotel Ghoomar, Jodhpur. Day 8: – Jodhpur – Ranakpur: Morning visit to Mehrangarh fort, and Umaid Bhawan Palace. After Lunch drive to Ranakpur. Overnight stay at RTDC Hotel Shilpi, Ranakpur. Day 9:– Ranakpur – Udaipur: Morning visit to the 14th century Jain temple having 1444 pillars, not one of which is alike in its carving. Cupolas surround the five spires. After lunch drive to Udaipur and stay at RTDC Hotel Kajri. Day 10:- Udaipur: Morning visit to City Palace, Jagdish temple, Sahelion ki Badi, Lok Kala Mandal and Pratap Smarak. After noon excursion to Haldighati, Nathdwara-Srinathji Darshan and on return visit to Ekligji temple, the deity of Mewar rulers. Overnight stay at RTDC Hotel Kajri, Udaipur. 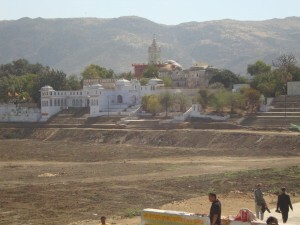 Day 11: – Udaipur -Ajmer- Pushkar: After break fast drive to Ajmer-Pushkar and check in at hotel Sarover Pushkar. Evening visit to (Pushkar) Brahma temple and Ghats night stay at RTDC Hotel Sarover Pushkar. 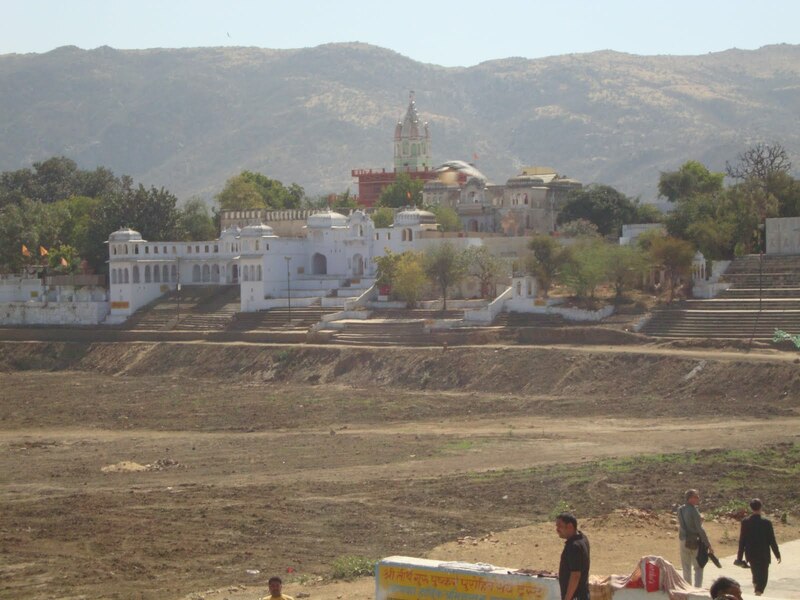 Day 12: – Pushkar- Jaipur: Drive to Jaipur, en-route visiting Khwaja Dargah at Ajmer. Arrive Jaipur by late afternoon. tour ends. Deepawali period at Mt. Abu and Sawai Madhopur (25th Oct. to 2nd Nov.2011). If you have not decided yet or wants to customize tour itinerary or hotels listed above in "11 Nights Rajasthan Religious Tour from Rajasthan Tourism Rs.37500/-", then we can change the travel itinerary and make a personalized, tailor-made holiday package, especially for you. We can modify this travel package as per your itinerary, budget, duration and the tourist places you would like to visit, including transportation and airfare should be included or not. Please fill the form below to contact us.